Click through to find a Puppy! 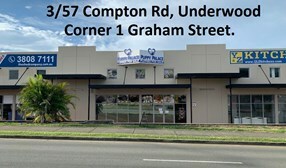 Puppy Palace is the Largest Specialist Puppy/Dog Retailer in Brisbane, Underwood. Our dedicated team of friendly staff are more than happy to answer any questions you may have. Transform your world and light up your life - welcome a happy and healthy puppy into your life and enjoy the company of man's best friend. You will leave this Brisbane Pet Shop with more than just a smile on your face. Puppy Palace is the largest specialist of puppies for sale and dog retailer in Brisbane. 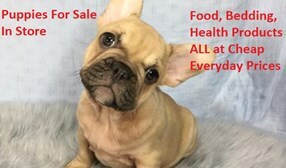 We sell only happy and healthy puppies on behalf of our breeders. We are committed to ensuring all of our puppies go to a happy home, and all our wonderful staff always go out of their way to ensure that all the puppies leave for their new furever home with their tails wagging. Contact us on (07) 3808-2880. Head over to our Brisbane pet shop and say hello to our furry friends our healthy and happy puppies live in a huge (500m2) air conditioned showroom and can't wait to meet you! All of our puppies are at least 8 weeks old when they arrive into our Brisbane pet shop, and are fully vet checked, vaccinated, micro-chipped and wormed. Our pups also come with free after purchase vet check, and a seven day health guarantee from Compton Road Veterinary Surgery, (07) 3711 3100. You will also receive One Month's FREE Pet Insurance with every puppy (can be used at any vet Australia wide *conditions apply). Choose Puppy Palace over other pet shops in Brisbane. All of our breeders sign a Stat Dec with all of their information and details of the puppies sold, this also allows anyone from AWL or the RSPCA to visit their property if inspection is required at any stage and to confirm that they are not an inferior breeder. We also stock a huge range of items to ensure that yours is the cheeriest pup in town: whether it's a toy, treat, bed or brush, we've got everything you will need to make sure your new fury friend stays both happy and healthy. We stock more doggy products than other pet shop in Queensland. Our Vet Health Products we sell are some of the cheapest around. Call us for all our prices. 07 3808 2880. We can even make arrangements to professionally fly your new puppy to you anywhere in Australia.